We keep coming across leaks related to Samsung’s Galaxy Note7 every other day. By now you must have fair idea of what to expect from the Galaxy Note7. Besides all other specs, the reason for Galaxy Note7 making all the buzz is its Iris Scanner. And today, we are looking at a leaked video which shows the Iris Scanner in action. Last week we saw some leaked images which gave us an idea about how the Iris Scanner would work. However, this time we are looking at a video demo showing a user unlocking the Galaxy Note7 using the Iris Scanner. We must say that the Iris Scanner is blazing fast, it unlocked the Galaxy Note7 immediately. You will have to see the video to believe it. You might get super impressed after watching video demo, however, there’s a caveat. The Iris Scanner is not for everyone. According to the images leaked (shown above), Samsung advises users to not use the Iris Scanner for scanning the eyes of babies. Well obviously, you wouldn’t want your kids to unlock your devices any way. Samsung also says that the device be kept at a distance of 25-35 cm for the Iris Scanner to work properly and avoid any harmful effects. Also, those who depend on spectacles and lenses for vision correction will be disappointed as the Iris Scanner may not be able to identify them properly. Users are also advised to not use the scanner in direct sunlight. Lastly, the third image confirms that the Galaxy Note7 will have 4 GB RAM (which we already know through benchmark listings). However, as of now, there’s no evidence of a 6 GB RAM variant of Note7. 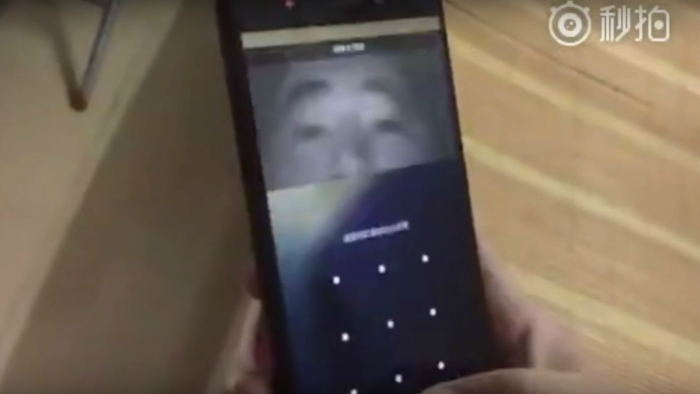 After watching the video attached below, you might notice that the Note7 used to demo the Iris Scanner is actually flat-screened variant. We saw leaked image of flat-screened prototype of Galaxy Note7 earlier this week. It’s possible that Samsung only created some prototypes with a flat screen for testing purpose and will actually sell the Note7 with dual-edge display. Also, from what all the leaks and renders we have seen so far, we didn’t see any hint of a flat-screened variant of Note7. Check out the video below to see the Iris Scanner in action. Samsung is going to unveil the Galaxy Note7 on 2nd August which is just more than a week away. Are you excited about the Galaxy Note7? Do let us know what you think about the Iris Scanner on the Galaxy Note7.